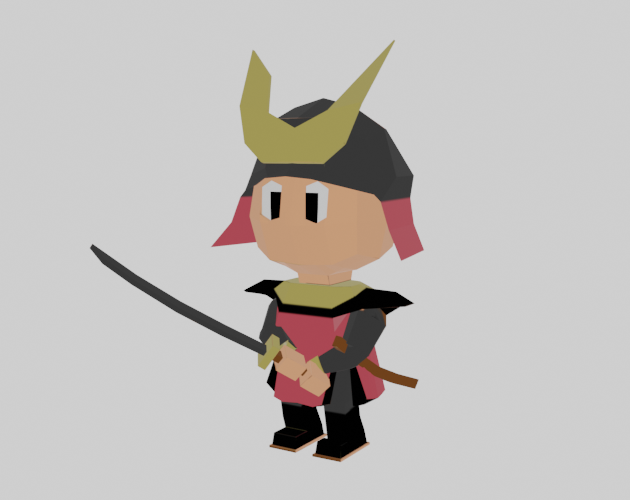 Set this 3d samurai loose to uphold honor or wreak havoc in your world! Comes with 5 animations (idle, walk, attack, damage, die) and a simple texture. Enjoy! Feel free to message me if there are any issues.